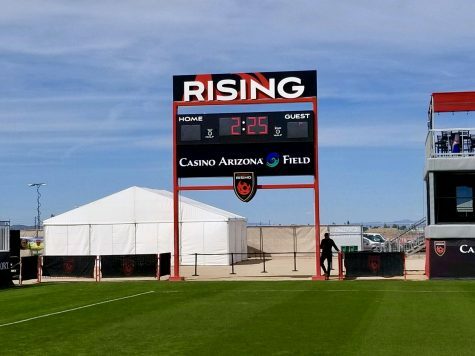 Phoenix Rising FC hosted Fresno FC on Saturday at Casino Arizona Field attempting to get their first win of the season. The game ended in a 0-0 tie, handing PRFC their fourth consecutive draw of the season. 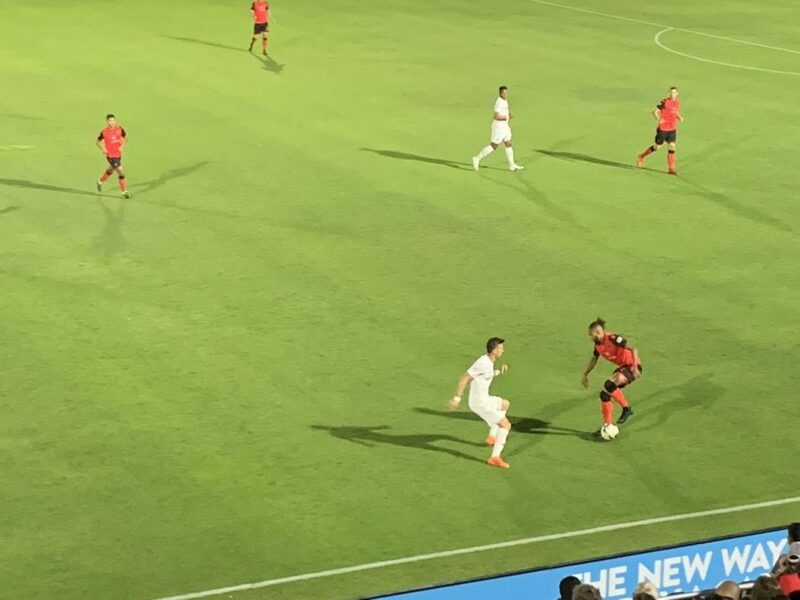 Rising FC had an advantage in the first half as a red card was issued to Fresno FC midfielder Seth Moses 40 minutes into the match. Even with the extra man on the field for Rising, they were still unable to score a goal to end the first half. That energy spewed into the second half as well, as neither team was able to get on the score sheet. In the second half of the match, Phoenix had a yellow card issued to midfielder Kevon Lambert. Rising head coach Rick Schantz shared his thoughts on the offense after the game. 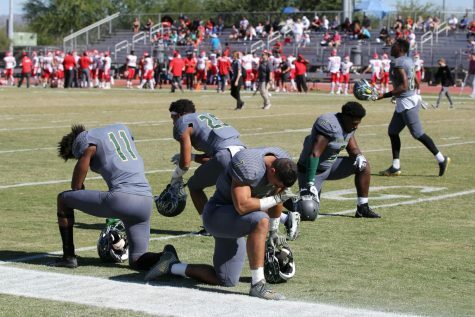 “I think we wasted 15 to 20 minutes in the second half,” Schantz said. He also mentioned where his team may have room for improvement. Nonetheless, Schantz was still pleased with the outcome. Defender Amadou Dia shared his thoughts on the team’s defensive performance. There were a few changes made to the starting lineup with goalkeeper Carl Woszczynski being a substitute and Zac Lubin taking the starting position. This change made to the starting XI did seem to be an unforeseen adjustment as there were no injury reports and Woszczynski was coming off of a Week 4 performance in which he was awarded the Save of the Week. Midfielder Collin Fernandez had his debut start this season as his hard work did not go unnoticed throughout the week in practice. “Collin this week was unbelievable,” Schantz said in the postgame interview and he went on to explain what transpired his decision. 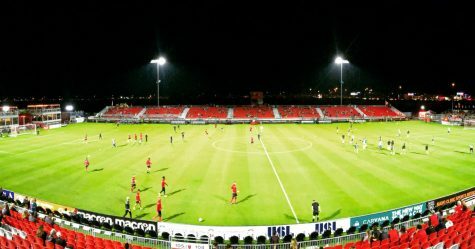 Phoenix Rising FC had the home field advantage and the support from their fans with another sell out game. 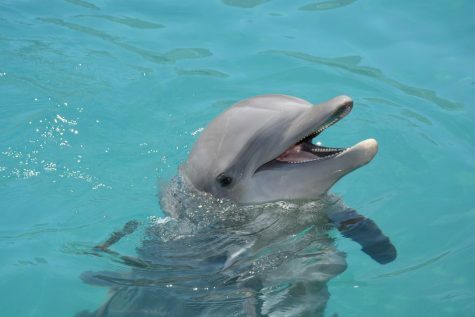 “The support from the fans is unreal, we do have the best fans in the league without a doubt,” Dia said. 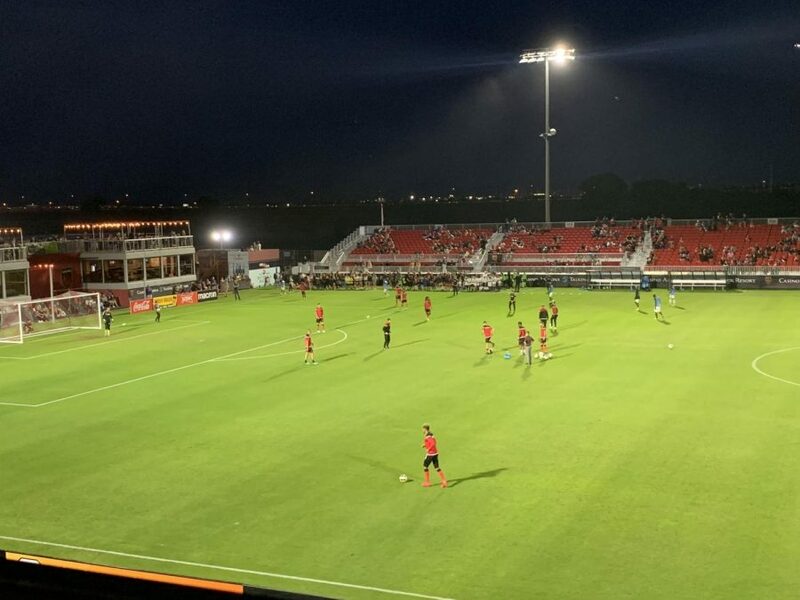 Phoenix Rising FC are on the road for their next match as they will take on El Paso Locomotive FC on Saturday, April 13 with kickoff at 6:30 p.m.